Are you new to the idea of small group travel? Nervous to join a group trip to an international destination with… dun dun dun… STRANGERS?!? Perhaps you’re typically an independent traveler and used to the freedom and control that you have when on your trips. If any of those are true, then you’re just like blogger and previous guest on our New Zealand trip, Susanna Kelly of Wandering Chocobo! In this post, she shares her hesitations about small group travel leading up to the trip as a first-time group traveler, as well as the reality she experienced while on the trip. In their efforts to reduce their impact while traveling Traverse Journeys promises to keep groups small. As a conscious traveler, I can totally get behind this concept and think it is a great way to reduce the impact of traveler. As an introverted and typically solo or couple traveler, I was a bit nervous to see how this would pan out. When I joined up to travel with Traverse Journeys on their trip to New Zealand all my worries were squashed and I am a firm believer that small group travel is ideal for anyone and a great way to travel responsibly. Day 1 - Nothing but smiles with our community partner rep from Project Jonah! I expected at least one person to annoy me. As a solo traveler, I can pick and choose who, if anyone, I can interact with. I am under no obligation to continue engaging with someone I don’t like and can go on my merry way. Heck, even with a big group of people if you don’t like someone you can just move on to another person and not interact with them again. However, when traveling with a small group of people I thought I would definitely be stuck with at least one person I didn’t like in an intimate setting and it would be game over. Small group travel with Traverse Journeys attracts like-minded people. You don’t have to weed through anyone to find compatible travel companions, Traverse Journeys does all that hard work for you. The people that book with Traverse Journeys are laid-back and open-minded. So much so, that even though my small group had vastly different types of people, everyone was so chill and accepting of all travel styles and personalities we jived and became fast and life-long friends. Everyone was mature enough to read the room and know that different people have different communication and travel styles and to respect and support each other in their differences. I expected there to be a rigid itinerary. As an independent traveler who loves to go with the flow and travel at my own pace, I assumed that the small group travel with Traverse Journeys would have an itinerary that was too rigid for me. I figured our day would be jam-packed with scheduled stops and events. As we drove between destinations, pulling over for photo stops like this were a must! While our days were pretty full, with scheduled activities, there was enough flexibility to feel like I had some control over my day. In addition to the scheduled activities, I was offered a list of extra excursions ranging from cheap and easy going alternatives to more expensive and elaborate options. I could also opt out of these activities for some much-needed me time. Our group director, Laura, was always flexible and quick thinking to find an alternative if someone wasn’t feeling like a longer hike or wanted more of a challenge. Being on the road we were able to ask for photo stops within reason and many of our food stops were planned on the go based on local recommendations. Packing both North and South Island of New Zealand into 10 days is quite the feat. I assumed that would mean we would only have time to see the “top tourist sights” as we traveled. Our nighttime trip to Hot Water Beach under the stars was perfect! We bonded together searching for hot water under the sand and by the end we were the only ones there! At most of our scheduled stops, we were rarely surrounded by buses full of people descending on a location with their selfie sticks in hand. Rather we integrated into New Zealand lifestyle and I felt more like one of the locals. For example, when we parked in Christchurch we hopped on some electric scooters and just rode around exploring the city without any real destination or sight in mind. I totally felt like a local and we stopped where we wanted to stop and kept scooting past things that didn’t catch our attention. Even when we did stop at bigger tourist places like Hot Water Beach, our local guide helped us get an authentic experience and appreciate these tourist spots as locals would. That meant we found ways around the crowds, which resulted in a midnight soak at the beach with the entire place to ourselves. The one time I booked a medium size tour package was in Turkey after one of the bombings. We were shuttled from one place to another where we were supposed to learn about local artisanal crafts but ended up awkwardly sitting in a Turkish rug shop while sale’s people desperately tried to sell us rugs when no one wanted to buy rugs. After that, we were carted to a pottery shop where we were expected to buy pottery and after that a mine that tried to sell us fine jewels, etc… etc… etc. I worried traveling with Traverse Journeys would be similar. For example, we were scheduled to take a train ride at a potter’s remote property, called the Driving Creek Railway. I expected after the train ride to be forcibly sold pottery. Enjoy the views at Driving Creek Railway as well as the non-existent pressure to buy anything! I wasn’t forced or put into an awkward situation where someone expected me to buy a specific souvenir. At the Driving Creek Railway, we were able to appreciate nature and art in an educational and enjoyable way and after the train trip, we went on our merry way. I was free to head into town or into gift stores at my own leisure and purchase things I wanted the fit my budget. It took a lot of pressure off the trip and allowed me to relax and not make any impulse purchases I regretted because I can’t say no. I don’t really know why, but I was pretty worried about money before heading to New Zealand with Traverse Journeys. I assumed that on top of my flight and entire tour package I would still need a lot of money. So, I moved some money around to give myself a large buffer for any needs that may arise. I used a fraction of the buffer I gave myself. In fact, all up I spent around 30 USD per day, and I could have spent a lot less if I didn’t love coffee so much. When something wasn’t included I was free to choose a food option that suited my budget. For anyone who is on an even stricter budget, a lot of the expensive excursions are optional allowing you to save or splurge as needed. 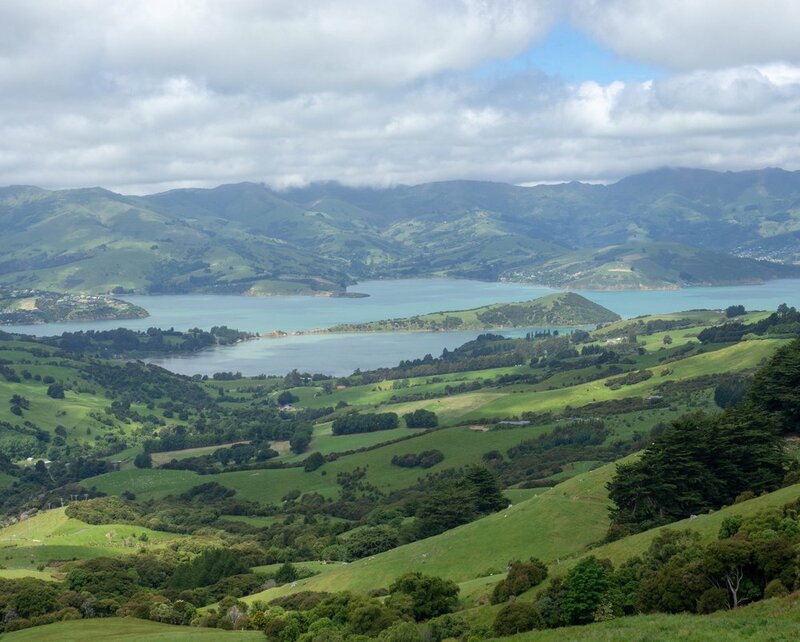 While the initial cost of booking with Traverse Journeys might make you a bit nervous, I know that I spent less than I would if I had traveled to New Zealand on my own. I was even pleasantly surprised that some of the included dinners were are pretty nice places. Sure Traverse Journeys markets themselves as a small group, but for some reason I still pictured us being a clearly noticeable tour group. I figured we might be in some large branded vehicle or we would stand out as a tour group from another country. 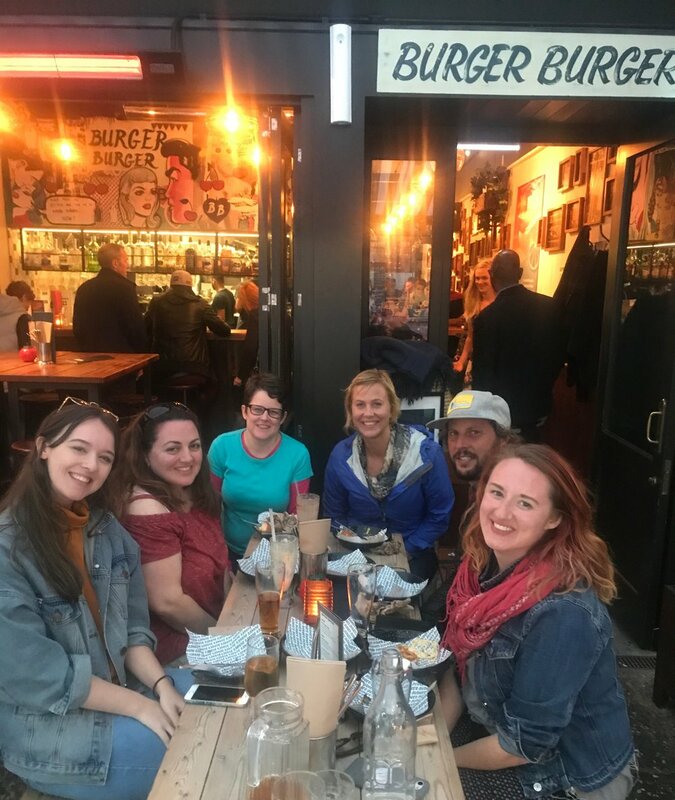 Blending in with the locals for the time-honored kiwi tradition of: burgers and beers! I’m not really sure anyone noticed us as a tour group. We were traveling in a reasonably sized car with a local and we blended in rather well. At no point did I feel like we stuck out as tourists and we were able to follow local customs and interact with the locals with respect for their space. We encountered several large tour groups who were loud, taking up entire walking trails - walking on the wrong side of the trail, playing loud music at Hot Water Beach and generally disrespecting the local area. I interacted with Laura a lot via email and knew she was a lovely person, but I expected to feel like I was being chauffeured around New Zealand by a tour guide, who would have planned commentary. I was a tour guide for several summers and I took buses full of people around and I never felt like anyone’s friend, but that I was there to do a job and get people from point A to point B smoothly. I assumed that would be Laura’s and our local guide’s role as well. While our local guide and Laura did get us from point A to B smoothly, I felt like I was just on a road trip with 5 of my close mates. Rather than feeling like I was being chauffeured around by a tour guide it felt like a friend of mine was driving. Instead of planned commentary we all just chatted about our travels and our personal lives. Having the local guide allowed us to ask questions as they came and have a personalized guided experience rather than a formal and rigid one. Unforgettable times with great new friends! I honestly had a lot of expectations when it came to traveling with Traverse Journeys. I was convinced that how they marketed themselves online was too good to be true. I am glad that the reality of small group travel surpassed my expectations for an authentic and truly local experience with lasting friendships. Ready to check out group travel for yourself? Click here a list of the trips we’re currently offering. And feel free to reach out anytime with any questions we didn’t answer above!